Won a prize in the "Townscape competition" in 2013! 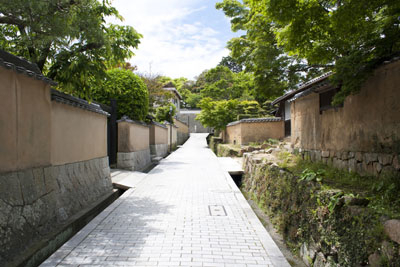 The castle town Chofu was founded by Mori Hidemoto from Chofu domain in modern times. Until then Chofu developed as a center of politics and culture. However, the castle got abandoned after the law of "Ikkoku Ichijo(a castle in one region)"and only the castle ruins are existing for now. 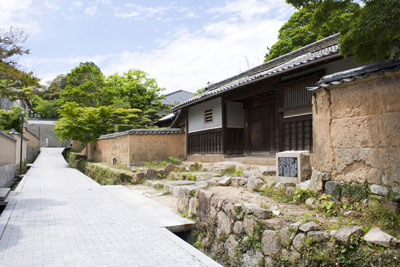 The townscape nowadays is the remains of various samurai residences built after Mori's settlement. Samurai town spreads towards the mountain and many of the high positioned vassals residence remains can be seen in the townscape. 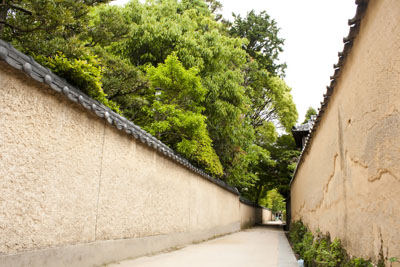 Many mon-nagayas and soil walls tell us the story of the long history they have been through.